Angie has extensive experience in both the NHS and Hospice sector. She commenced her career as a Registered General Nurse in 1984 after graduating from the Coventry School of Nursing. Angie then progressed to the role of Staff Nurse within Oncology & Haematology at the Walsgrave Hospital in Coventry until 1986 when she moved to Myton Hospice (Warwick) where she remained for over 9 years. During this time, Angie worked as the Ward Manager for In Patient Unit / Day Hospice / Therapy Services and also attained a qualification in Specialist Palliative Care Nursing and a Diploma in Professional Studies in Nursing. Angie then took on the role of Macmillan Clinical Nurse Specialist at Warwickshire Health Authority for a 12-month period. In January 1996, Angie returned to Myton Hospice, initially as Lecturer / Practitioner in Oncology / Palliative Care in conjunction with Coventry University and University Hospital Coventry and Warwickshire (UHCW). Then in 1998 she became Myton’s Director of Nursing and Care Services for 5 years. In January 2003 until December 2008 Angie held the role of Director of Nursing and Assistant Network Director with the Arden Cancer Network (NHS Coventry teaching Primary Care Trust) and was also Associate Director of Nursing at UHCW. During this time, she also attained her MSc in Health Sciences. Angie has been the CEO of The Shakespeare Hospice since January 2009 and has developed and implemented a strategic plan to improve access to our services. 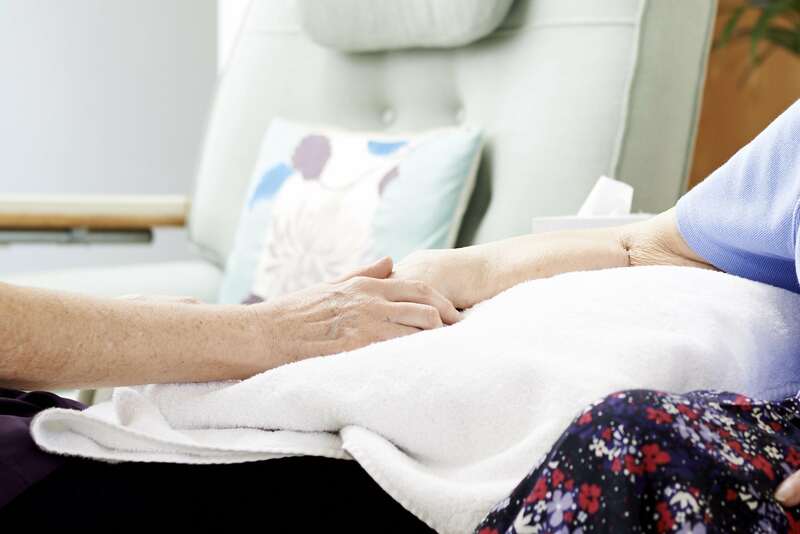 As a result, patient referrals have trebled, and the Hospice has responded by delivering a diversity of services aligned to meet the needs of the local community. Jo joined The Shakespeare Hospice in January 2018, as Head of Clinical Services. Jo qualified as a nurse in 2002 and started her career within oncology and respiratory medicine. Having a passion to work in the community, Jo then went on to work within District Nursing and gained her BSc (Hons.) in Specialist Practice from Nottingham University. Following many years within District Nursing Jo has more recently been leading and advising on projects focusing upon Admission Avoidance (AA) and Early Supportive Discharge (ESD), from the Acute sector into Secondary Care, within the NHS. Jo worked for three years within a commercial healthcare company, advising and managing services on behalf of the NHS to support both ESD and AA initiatives. 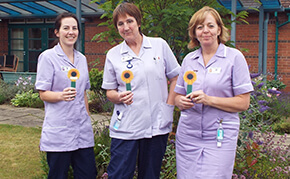 Jo is responsible for the overall management of the clinical services at The Shakespeare Hospice. 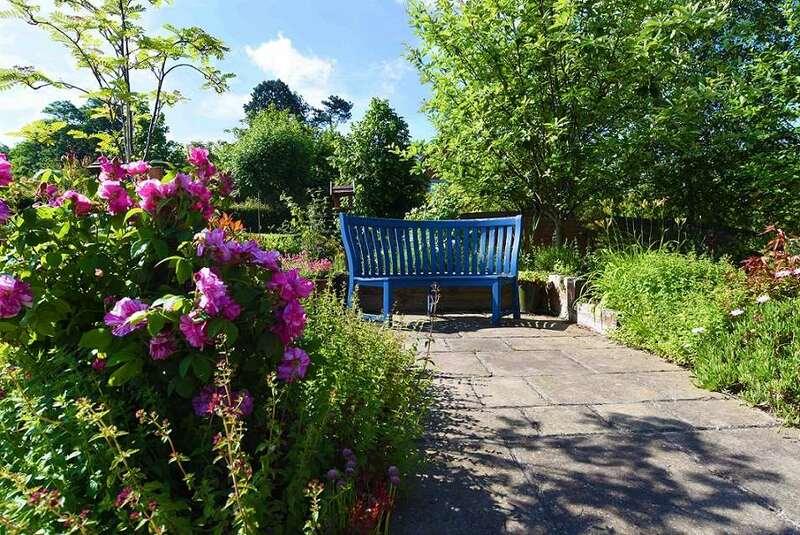 This includes Hospice at Home, Day Hospice, Adult Counselling, Transitional Care and the Children’s and Family Support Services, providing leadership and support to ensure high quality care standards, for all those individuals who access the services on offer at The Shakespeare Hospice. Karen has worked in the charity sector for 21 years starting her career as a fundraiser at the RNIB and then Barnardo’s Children’s Charity. Karen worked at Barnardo’s for 20 years and during that time managed regional and national fundraising teams across various income streams. Karen was a member of the Income and Innovation senior leadership team, and in 2016, moved into a new Head of Compliance role responsible for the quality assurance for fundraising governance and regulation with laws associated to fundraising e.g. Charities Act 2016, Data Protection Act, PECR, and the Gambling Act 2005. Working cross-functionally, Karen communicated changes on governance and implemented risk mitigation strategies. Karen joined The Shakespeare Hospice as Head of Income Generation in February 2018 and is responsible for Fundraising, Marketing, and Retail. Fiona has many years experience as a Board level executive in both the private and public sectors. Before retiring she was Corporate Affairs Director for E.ON, the energy company. She is a qualified lawyer and was Chair of E.ON’s pension scheme for many years. Fiona is also Vice-Chair of Working Families a leading work life balance charity and a Trustee of the Municipal Charities of Stratford Upon Avon. Fiona joined the Income Strategy Committee as Chair in May 2018 and became Chair of the Board in March 2019. Charles is an accountant with almost 30 years experience. He trained with KPMG in Birmingham where he worked with a wide variety of clients including a number of charities. In 1997, Charles joined a US telemarketing company and was appointed Company Secretary in 1999 and was appointed a director in 2004. In 2008, Charles joined a large Japanese print manufacturer leading a numbers of activities for the European business including, acquisitions, compliance, and internal audit. Charles became a Trustee in 2017 and sits on the Audit & Finance Committee and is also the Hospice’s Company Secretary. Richard is a retired management consultant and a qualified accountant. He is a fellow of the Institute of Chartered Accountants, who spent most of his career providing financial management and process improvement consultancy to a wide range of organisations from family businesses to large corporates, Charities and Government bodies. For many years Richard worked for Coopers & Lybrand and PwC, prior to establishing his own consultancy business in 2003. Richard is also a Trustee of The Friendship Project for Children and USPG, a long-established mission agency of the Anglican Church. Richard joined The Shakespeare Hospice as a Trustee in 2017. Richard is the chair of the Audit and Finance Committee. Richard is an IT professional with nearly 20 years experience. In 2001 Richard started as junior level IT Support Administrator in the private banking industry, in 2006 Richard moved to a software development company based in the financial sector to become IT Manager. In 2014 Richard moved to one of the UK's largest privately owned companies including Airports, Hotels, Aviation, Residential Development and Commercial Property Management. Here Richard designed a group 5 year group IT strategy for all divisions. In 2019 Richard moved to a large Civil Engineering company based in Birmingham. Paul is a lecturer at Warwick Business School where he specialises in strategy and mergers and acquisitions. He is a Fellow of the Association of Chartered Certified Accountants and a Fellow of the Chartered Management Institute. Before moving to WBS, Paul enjoyed a 30 year career in industry working in finance and mergers and acquisitions for several international public companies principally in the automotive, distribution and construction sectors. As a management consultant, he also worked with one of the UK’s largest housing associations. Paul has extensive business knowledge and experience at all levels through to operating and executive boards. Paul joined The Shakespeare Hospice in 2019 and is a member of its Finance and Audit and Human Resources Committees. Dr Ramos has been a trustee since 2015 and is the chair of the Clinical Governance Committee. 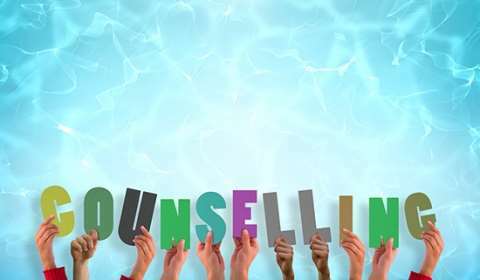 She is a GP Partner at Rother House Medical Centre and the Associate Medical Director for the Out of Hospital Collaborative at South Warwickshire Foundation Trust. Dr Ramos qualified from the University of the Witwatersrand, Johannesburg, South Africa in 1991 and completed her post- graduate training in the United Kingdom before becoming a partner at Rother House in 1999. Jeremy Shearman is a local physician. Having qualified from Leeds medical school in 1988 he undertook his higher training in gastroenterology and hepatology in Oxford including a period of dedication laboratory research culminating in a DPhil. He has been a consultant at Warwick hospital since 2000 and during that time has fulfilled a number of senior non-clinical roles in both management and education including Staff Governor. In addition to his clinical commitments he also currently holds roles with the British Society of Gastroenterology and the Royal College of Physicians. He lives locally in Stratford and became a trustee in 2018. Kathryn is a district nurse and has been in the nursing profession for nearly 40 years of which 30 have been in the community providing palliative care to people in their own homes. Kathryn became a Trustee in 2016. Debbie recently joined as a Trustee in 2018 and is currently on an NHS career break from her role as Professional lead nurse for the Stratford Community District nursing day and evening teams. Debbie trained in Oxford qualifying as an RGN in 1991, and later having gained her MSc, as an Advanced nurse practitioner. For over 25 years Debbie was involved in building the service and reputation of the International renowned Oxford Respiratory Sleep & Non-invasive ventilation service, including voluntary work for the Sleep Apnoea Trust Association (SATA) patient support group. Elizabeth became a Trustee of The Shakespeare Hospice in 2018. Elizabeth retired in December 2016, after 42 years in Education, and 35 years as a Headteacher. From its inception she was a member of the Worcestershire Primary Headteacher’s Representatives Group, subsequently becoming its first Chair; a Member of the Education Management Group, planning the vision for Worcestershire; a Member of the Finance Forum, and a Literary Consultant for Exeter University working on a research reading programme. She is a Lay Representative on the Diocesan Board of Education, Chair of Governors of a Church School and a Trustee of the Evesham Abbey Conservation Project. Bill is a management consultant, university lecturer and trainer in the supply chain sector. He is a fellow of the Chartered Institute of Logistics and Transport. His corporate career spanned a range of international logistics companies including in the healthcare sector. Latterly he has provided supply chain advice, project management and implementations to a wide range of organisations from family businesses to large corporates, including charities. He lectures at Warwick University and abroad. Bill joined The Shakespeare Hospice as a Trustee in 2019 and is the Chair of the Income Strategy Committee. James Richards became a Trustee for the Shakespeare Hospice in Autumn 2016 and sits on the Income Strategy Committee. He is the Director and Founder of Vin neuf wine merchants a local retailer and wine wholesale. Gill Thomas is a proven Sales Director in developing existing and new organisations sales and profit growth. An established individual with over 30 years Sales, Marketing & Food Development Experience gathered from a variety of blue chip companies. Gill is an accomplished individual in creating the appropriate strategy for the targeted organisation which identifies incremental profit streams, market and competitor mapping and delivering new start up routes to market including mergers and acquisitions in addition to the development of the appropriate processes for sustainable and profitable growth for the future. Gill's passion for food has meant that she has been involved in the Retail & Foodservice Industry for all of her working life. Gill is at ease in developing strategic partnerships with Board level individuals in multi national companies as part of her current day to day working life. Gill has lived in Stratford Upon Avon for the last 14 years and has been a trustee at the hospice for the last 4 and half years on the Income Strategy Committee responsible for supporting and offering advice to the Head of Income Generation.